Audencia Business School is amongst the 1% of business schools holding all top international academic accreditations - EQUIS, AACSB and AMBA. We are known globally for education and research in the fields of business and management. Audencia is one of France’s elite Grande École higher education institutions, with campuses in Nantes, Paris and Beijing. Our 3 founding values ​​are Innovation (acting as a challenger), Cooperation (succeeding together) and Responsibility (affirming our difference). Through its programs, its numerous business and academic partnerships in France and around the world, Audencia Business School actively contributes to the development and the influence of its territory. Each year, more than 4,000 students are welcomed by its 300 professors and collaborators, spread over 5 sites (Nantes, Paris, Beijing). Our students and faculty members come together from all over the world. This creates an enriching intercultural learning environment. Students learn to work on teams with peers who have very different cultural values and communication styles. This prepares them for success in the global workforce. Are you an Engineer-Manager, like Feras? Are you a Career-Changer, like Sophie? Are you an Artist-Entrepreneur, like Yvan? 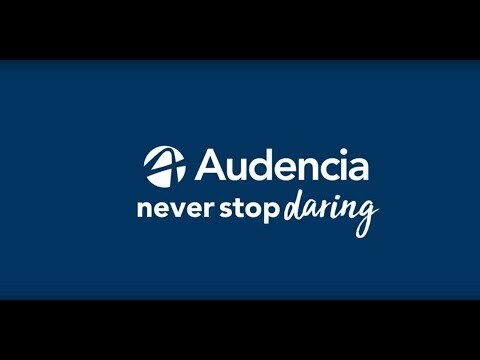 Audencia Business School’s commitment to excellence and diversity is shown through the variety of scholarships we give out each year to students of merit from different backgrounds. We award over €500,000 in scholarships per year, giving students around the world the opportunity to study in a world-class environment. Our aim is to open up the best business education to students that show the skill and motivation to be the leaders of tomorrow. Audencia Business School has a long history of welcoming international exchange students. Our students come from more than 260 partner universities in over 60 countries. You will be accepted into our vibrant community and quickly fall in love with the beautiful city of Nantes. We offer an extensive catalogue of courses taught in both English and French, so you can take advantage of our outstanding educational quality and experienced professors. We take your needs very seriously, and our dedicated team is here to help you with any personal, academic or intercultural matters before or during your stay here. In addition to this, we have recently been selected to coordinate projects under the new Erasmus International Credit Mobility programme, allowing students from outside Europe to apply for additional grants. The library team supports teaching, learning and research at Audencia Business School by providing the Audencia community with library and academic information services. Our mission is to give access to information and knowledge, to guide and assist students, professors and researchers in their information search and to help develop students' information literacy skills. Our network of 150+ corporate partners includes companies like Accenture, BMW, Euler Hermes, L’Oréal and Sony. Our partners recruit student consultants, interns and graduates; provide insight as guest industry experts; develop research alongside faculty; launch business challenges and more. Learn more on our dedicated Corporate relations website.